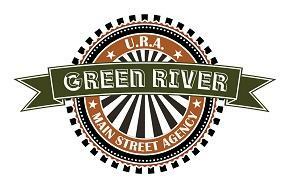 Green River Main Street strives to enhance our heritage and economy by creating a better place to live, work, shop, and play in the heart of our community through the revitalization of the historic downtown. The health of downtown is at the very heart of the quality of life within a community. A prosperous, attractive, downtown business district becomes a visible barometer for the well-being of the entire community. Protecting the existing tax base: The Main Street program protects and enhances private investment in banks, businesses, and commercial property as well as public investment in streets, sidewalks, water, and sewer lines. Acting as an incubator for new business: A viable downtown offers opportunities and incentives for the new entrepreneur such as lower rent and technical assistance. Inspiring attraction for economic development: Downtown reflects the overall image a community projects to potential investors. An invigorated downtown makes a very positive statement about the whole community. Providing a point of focus and stability: A vibrant downtown gives the whole community and region a sense of pride and positive self-image. It serves as an anchor for the community providing stability necessary for economic growth. Preserving the historical fabric of the community: In a healthy downtown, property owners are more willing to invest in and maintain historic commercial buildings, thereby preserving an important part of the community’s and Wyoming’s heritage. Improving economic conditions downtown: A healthy downtown attracts new businesses, creates jobs, and strengthens service and retail markets. By diversifying the business mix and recruiting new businesses, dollars that would be spent elsewhere are spent locally.